I am well aware of how good Google Maps is these days. Trust me, it fails. In Utah, it insisted that I ‘go straight’ into a private airfield with a gate blocking my path. When I rerouted to go around, it further insisted I ‘turn left’ where there was clearly no more road left. While I am not insinuating that a map is superior to our technological counterparts, it is definitely complimentary. Pro Tip: Get the app OsmAnd (droid only) – It is like an offline Google Maps where you can download entire countries. 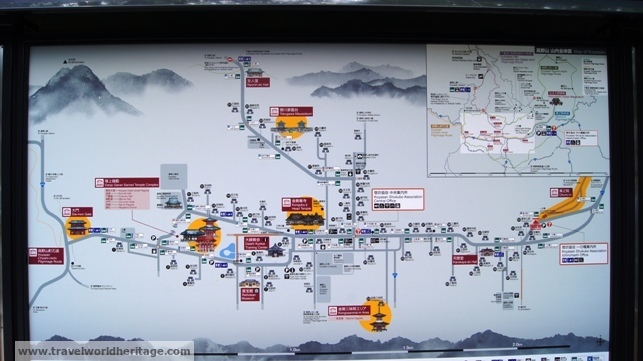 It can also give you directions using your GPS signal, which requires no data usage at all. The free version allows for 5 countries to get you started, but personally, I found the paid version worth every penny. 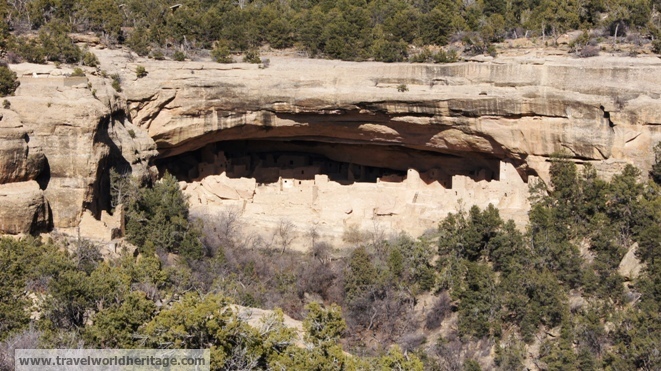 Mesa Verde National Park has the fame of being the only NP in the US to be strictly set apart for its cultural significance. While the nature is pretty, it is definitely the cliff dwellings and other Pueblo Indian ruins that make this one, a magnificent site. 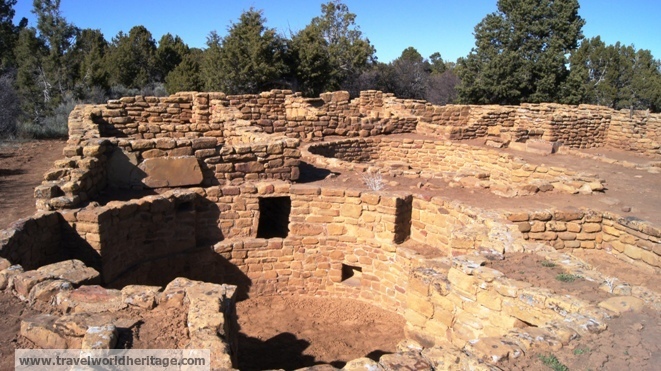 The Pueblo Native Americans have had organized towns for over a thousand years in places like Mesa Verde, Taos, and the great meeting place of Chaco Canyon. It was actually their town based society that led to them being named “Pueblo” by Spaniards in the 1700s. 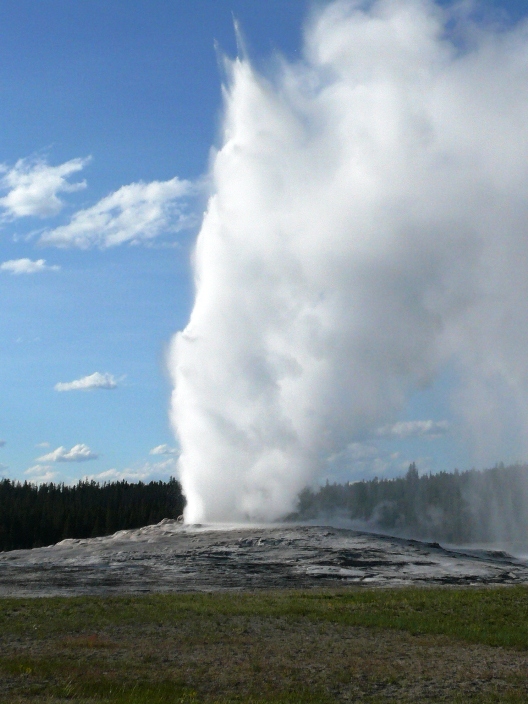 They are mainly centered around New Mexico, but spilled into what is now Arizona, Colorado, Utah and even Texas. 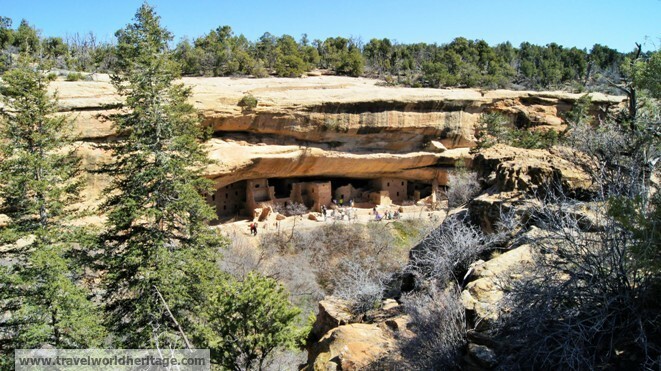 Mesa Verde is one of the best preserved pueblo sites because they are located on cliffs where accessibility was quite difficult for early explorers. 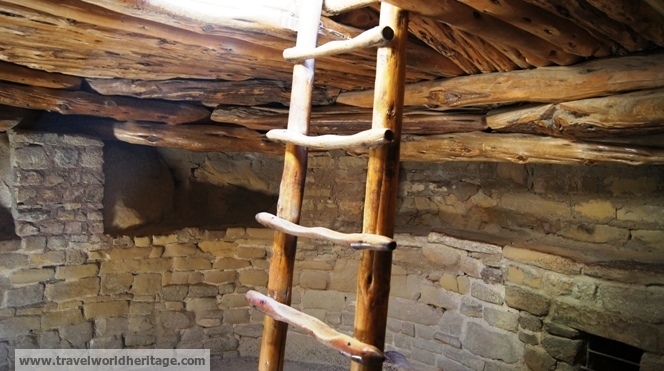 As early as the turn of the 20th century, adventurers were so fascinated with these dwellings, that they would take a multi-day trip on horseback from Durango, CO simply to see these sites. The Cliff Palace from a distance. The thing I found most fascinating is how an entire town could be made on the side of a cliff. It reminded me much of the Eloi dwellings in The Time Machine novel. The Cliff Palace and Long House only open seasonally, but the Spruce Tree House is quite a spectacle and is open year around. To get the best possible scope of the whole thing, do the drive up the two southernmost loops and stop to see these cliff houses form a distance. It will just blow your mind. Click to zoom and try to find all of the palaces. There are about 6 in this picture. 1) Completeness and Originality (12 out of 15): While not everything is original, it is impressive that it is in such good condition. 2) Extensiveness of the Site (8 out of 15): Personally, I was in and out in five hours. Due to the elevation though, the Cliff Palace part of the park is closed most of the year. Those hikes would take a while longer. 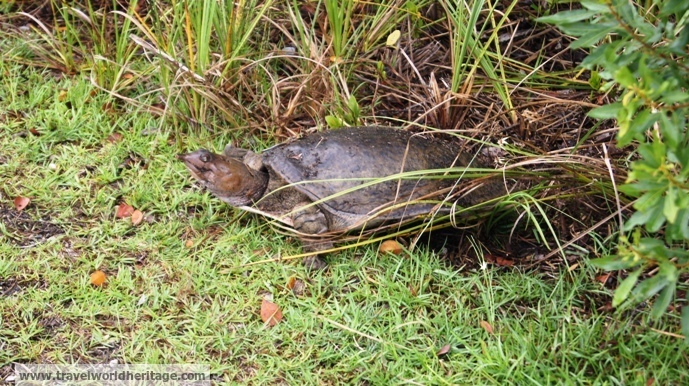 Nonetheless, you can still see them from a distance on the lower loop drives. 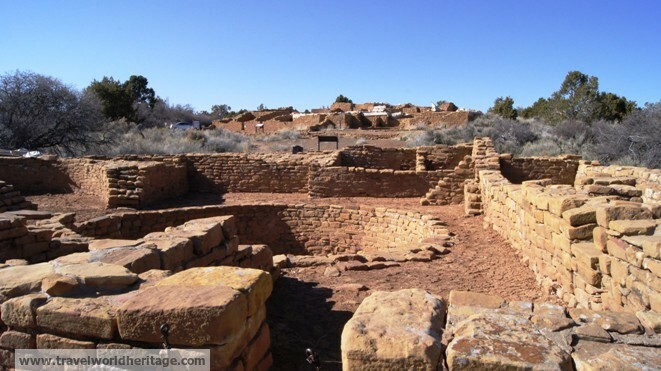 3) Cultural Significance (8 out of 25): This site was inhabited for a hundred years more than Chaco Culture. 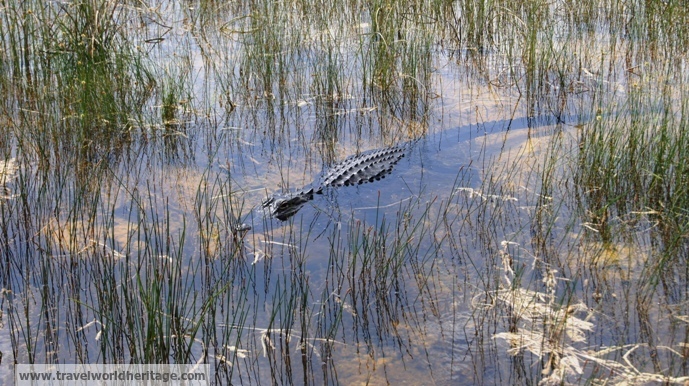 However, it has less of an impact on its surrounding neighbors. 4) Personal Impact (12.5 out of 15): Definitely pleasantly surprised. I guess I didn’t have any definite expectations, but I also didn’t expect it to be this awesome. 5) Logistics (7 out of 10): It would definitely get 10/10 if everything was open year round. However, since the main hike of the Cliff House only opens in the summer, I can’t justify a perfect score. The price is $10, you can drive to pretty much any trail head and view point without trouble, and yet, it is not that crowded. 6) Uniqueness (16.5 out of 20): I must say that I have never seen or heard of anything similar. While many Pueblo remains exist, this one is definitely unique.